Make a joyful noise to the Lord. Worship God with gladness. But is it really like that? How glad are we for all that God is? Or are we looking too much at what we lack. And is what we lack of any importance at all? How glad are we that God is and holds us close? 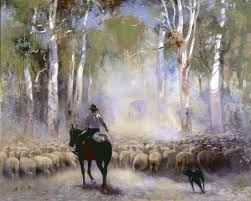 Tender, comforting Shepherd, your steadfast love is present in this place and resides within each of us. But sometimes it is hard, so very hard, to open ourselves to your love. We feel like scattered sheep, frightened and alone. Help us know your loving presence as we live as your gathered community. Enlighten our hearts, that we may know the hope to which we have been called. Amen. Help us; enlighten us. Amen and Amen. Holy One, we are like sheep that stray from your fold. We are the perpetually hungry, ever in spiritual need, and at times in physical want. We are the naked, with wounds exposed and bleeding. We are the sick, fevered, chilled, and in pain. We are the strangers, separated from others and even from ourselves. Hear us now as we confess our brokenness and our need. Amen. We should remember that brokenness can be mended and accept the words that follow, otherwise we cannot be God’s servants. Our creator God sees our hunger and gives us food. Christ, the healer, touches our wounds, offering comfort and blessed relief. The Spirit blows through us, cools our fever, and eases our pain. God sees and touches and heals our wounds. Thanks, be to God! Holy One, you have given us all that we have and all that we are. Through these gifts and in our lives, help us be the shepherds and healers and lovers that you are calling us to be. Amen. Hymn TIS 675: “Lord, the light of your love is shining” And our offering is one way to allow that to happen. Also, our congregation is older than some others and so many of us are not so well. If would be easy to look around and see other people living more comfortable lives. But if we look at how blessed we are, that will shine through. The Readings delivered by Elaine: Ezekiel 34:11-16, 20-24. Ephesians 1:15-23. Matthew 25:31-46. Scattered. Dispersed. People, like boats, can be cast loose from their moorings and drift away. Sheep, preoccupied with grazing, can move from one patch of grass to another until they look up and find they are nowhere near where they began. The same is sometimes true for people. Calamity! Imagine being one of the Israelites of the Babylonian exile - you would have wondered what would become of your people. Like modern-day refugees from Iraq, Indian subcontinent, Palestine, Afghanistan,… you would have felt lost. Our part is to think about how we are lost but worse, how we look to the wrong things to mend that lostness. (We are) the sinner whom Jesus seeks to bring back into the fold of a loving and forgiving community. 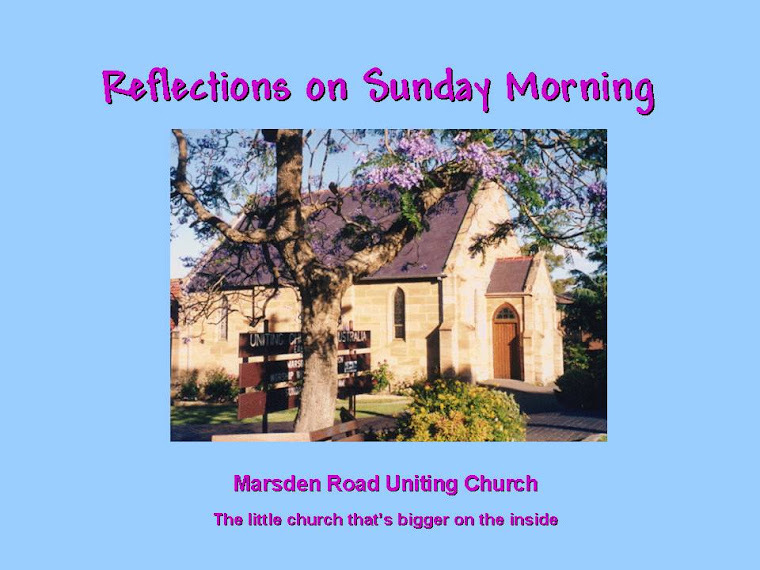 Intercessory Prayers -Ruth gave thanks for our many blessings, and asked God to be with the leadership of Marsden Road Uniting Church. She prayed for the ending of wars and unrest and especially for children who have never known peace. She prayed that we will always remember that above all, we are God’s children, regardless of our appearance. She asked for strength and courage for all those who are faced with any obstacles of any kind and for comfort and healing for the sick. She then prayed for our personal concerns after which we joined in The Lord’s Prayer. Come, you who are blessed! Inherit all that is prepare for you! We leave this sacred space to claim the riches and glorious inheritance that are ours through Christ. Go out into the world to share your blessings with all in need. Again, I was unable to attend our service but I was helping a student with her study of Shakespeare’s The Tempest which provided a stimulus to think about a number of very human issues. One reason that Shakespeare is still studied today, apart from being one of the very best of writers of the English speaking world, is that he explores a whole range of human ways of being, meaning that his work has universal appeal, not just across a generation but from one generation to another, over hundreds of years. The Tempest is no exception, with the characters having to confront aspects of their own character with which until the present time in the play, they have been able to live quite comfortably. The characters in the play represent various layers of society: fathers and children; rulers and the ruled; masters and servants. At any time in history, certain assumptions are in place concerning the behaviour of one layer of society towards another. In this play, as all of us have experienced in our own lives, these conventions are challenged and can come unstuck. For example, it was assumed that masters had every right to direct the lives of their servants, without any need to apologise for any wrong caused. Children had to obey their parents, regardless of the wisdom, or lack of it, of the parents. Rulers would continue to rule, whether they were doing so fairly or not. When all of these assumptions fail, people get hurt. When people get hurt, forgiveness is the only way to right the wrongs. Learning this lesson can be painful and may take time but once learned, progress can be made and relationships restored. This was achieved between some characters in the play. One sought forgiveness. The other accepted the plea and forgave. Mission accomplished. But what happens when the hurt is so deep, that regardless of the sincerity of the pleas for forgiveness or the genuineness of the repentance, the hurt party turns away and won't forgive? 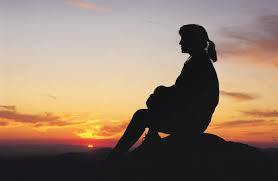 The lesson learned concerning such a situations is that the matter must be left with God. There is just so much that we as humans, can do. But what of rulers and masters? Should they belittle their status and lower themselves to ask forgiveness? 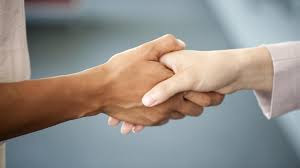 The whole asking for and giving of forgiveness cleanses the relationships of all concerned. This was just one issue explored in The Tempest, but in studying the play we are given the chance to examine ourselves at arm’s length. 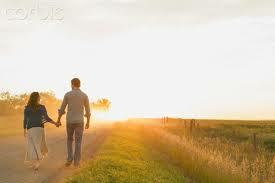 Does the matter of forgiveness ever cross our minds or do we just bluster our way through our lives day after day? Many of us are parents. Do our children simply have to bear our mistakes which damage their lives and get on with it? After all, if we apologize or ask forgiveness, isn't our authority in the family brought into question? Better that, than for our children to see us as frauds. And if we think of our experiences of being given an apology or being asked for forgiveness, doesn't the other person somehow grow taller in our sight. Regardless of our social or family status, it is required that we asked forgiveness of those we have offended against and that we should forgive those who repent and ask for our forgiveness. I was unable to attend the service today, so instead, prepared for the upcoming advent study, The Gospel According to Scrooge. My first reflection on the above is that if we are to grow as a result of our experience of the coming Advent period, we need to put effort into creating an authentic and full interaction with God and each other during the approaching time by studying its base and ramifications. If we “play it by ear,” not only will we not get the best out of the time ahead, but we will be revealing the little value that this time in the year has in our lives. This, in itself, cannot lead to the best we can have or be. To experience the most authentic perspective of advent, that we as individuals can have, we need to seek to find our place in the meaning this time holds for our church. The “unabridged version” of this would take years, but a study like the one we intend to undertake, centred on The Christmas Carol, will provide early steps in what can be an ongoing journey over other Advent times in the future, during which our understanding of the season can only grow. This study encourages us to look inward, to examine the deeper things that motivate us. It also encourages us to take an honest look at whether this time is indeed a time of “goodwill to all”. As well, our attempt to provide a happy time for our family and friends, as well for others in the wider community, we can often lose sight of the real meaning of this season. Therefore, the intention that this study is to be a springboard for our prayers at this time, is the very thing to bring our attention to the true and deeper meaning of this time. It was reported that a woman looking through Christmas cards at the newsagent, was heard to mutter: “They’re trying to put religion into everything now.” Could we get any further away from the foundation of this time? By using this study as a stimulus for our conversations with God, we have an opportunity to be sure that this Advent our attention will be where it should be. The basis for our thoughts and actions will be the genuine one, growing from our relationship with God and a clearer appreciation of the significance of this time, and God’s will for us at this time. 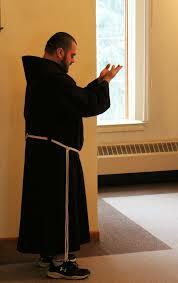 The stated intention of the study is to act as a springboard for our prayer. Prayer can take many forms, but can I suggest that to start a period of prayer at this time it would be good to sit and just be. Let God use the story and the songs to bring to life a new way of seeing. Let God use that new way of seeing inject into you a new way of being. It has been my experience that by allowing a God to work in this way, our prayers that follow, become the prayers which can build the Kingdom. Those prayers will reflect the will of God for ourselves, our family, our friends and the world around. These prayers will come from a changed us, and in turn, will change us. Today I would like to focus on the readings and Rev. John’s reflection, while attempting to give an idea of the service as a whole. During The Call to Worship we remembered that we are part of a world-wide church which has come to us through generations of people seeking to relate to their God through worship. During The Opening Prayer we asked God to be with us and to reveal to us through Jesus how to be true followers of God, humble and content, caring and co-operative, givers of goodness, strong in God’s strength, living in peace, according to God’s way. We then confessed our weaknesses, praising God at the same time for his faithfulness and asking for forgiveness for our failings. Rev. John then declared our forgiveness: Beloved, we are the children of God. Don't fear failure. It is endemic to our human nature. Learn from your mistakes, and cherish the forgiving grace of God. Give thanks for all you are, and go forward in faith, knowing that God is faithful. Holy God, we thank you for the great cloud of witnesses that surrounds us as we worship. Their diversity reminds us of your infinite grace to all your creatures. Thank you for the vision of a world at peace: paradise restored, where no one hungers, no one thirsts, and no one is wanting in any way. You guide us to the source of living water and invite us to drink deeply of your love. Your magnificent generosity evokes our deepest thanks. And so, receive these offerings, that we may join that great cloud of witnesses as we share our gifts with others. Amen. as we remember all those who have passed on into glory. 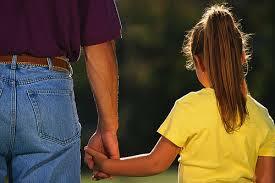 You came in human form to walk among us, teaching us the way to live as your children. In Jesus Christ, you showed us what holy living looks like, and gave us the sacraments of baptism and Communion to remember and experience anew your presence, encouraging us to live in relationship to you. These are known to us as the beatitudes delivered during the Sermon in the Mount. I don't think I need to repeat them here and if you would like to read the details Matthew 5 is the reference. The most important message for me is that those who will be the Blessed of our God aren't those that are successful by this world’s standards but those who seek the ways of a servant. Rev. John pointed out that our culture seems fascinated with the afterlife as though this life doesn't matter all that much and is just a place where we can win a spot in the good seats in Heaven. He pointed out the Bible hasn't much to tell us about the afterlife or who qualifies. Rev. John went on, referring to scripture, saying that our chief concern is to live in our relationship with God in the present. My own experience is that the confidence of knowing that I am a child of God who watches over me, guiding my life, makes any concern about the afterlife something to be left for when I get there. God will be as faithful to me then as now. We are renewed and filled with the sweetness of God. Go forth to bless the world with joy in the Spirit of God's redemptive love and sustaining peace.